I was watching TV the other day when the charity slot came on and this short film was shown: http://www.youtube.com/watch?v=ePriaeNujyk . The film has been produced to persuade viewers to donate to the charity Spinal Research that funds the scientific project to find treatment for people like those shown. I was very moved and immediately donated. It’s fitting that the push that could bring a deliverence for these people could come, like so much else that makes our lives better, from grass roots action and not the meagre benevolence of the Elite Establishment. It annoys me like almost nothing else that so many Skeptics crowbar very nasty words into my mouth, words I would never utter, and like to portray me and other “Woo-woo’s”, non-Skeptics, with this one-size-fits-all identity typified by Tim Minchin in his beat-poem Storm, see: http://www.youtube.com/watch?v=ujUQn0HhGEk . The attitude that anybody who talks about medical conspiracies and the Sickness Industry is some kind of Eco-Fundamentalist science-hater suits the Skeptics’ attacks on us and, by consequence, the Illuminati-occupied Big Pharma establishment too, not the cause of truth. I hope my own feelings made clear in this article do something to give the reader a more balanced view. Certain members of the HPANWO Forum (See Links column) have given me grief in this sense from the way they polarize everything they see and tend to do the same with everything I say in reply to their statements, despite my efforts to keep the subject on a just and even keel. I’m definitely not a science-hater, in fact I’m something of a science fan; I just reject the values of the Skeptic Movement. See here for more detail: http://hpanwo.blogspot.com/2010/10/tam-london-2010.html and: http://hpanwo.blogspot.com/2009/03/bad-science-by-ben-goldacre_25.html The post Illuminati world, as I envisage it, is not some kind of Soren Renner or Pentti Linkola-style Year Zero, eco-fascist idyll (See: http://hpanwo.blogspot.com/2010/05/billions-will-die-we-will-win.html). It’s a world in which the people take what’s best from all aspects of human existence and activity for the prosperity of both themselves, others and the planet we live on; and leave out what is destructive. Spinal injury is nature’s dirty trick on us (If it is indeed nature, but I’m getting ahead of myself). Ever since the first vertebrate animals crawled out of the mud at the bottom of the oceans millions of years before the dinosaurs, organisms have developed with all their neurological eggs in one basket. The spine is a single column of the central nervous system that that carries electrical signals from the brain to all parts of the organism’s body. It has smaller nerves that branch off it, which in turn have smaller nerves that branch off them, and so-on and so-forth. It’s like the electric mainline that leaves the power station to carry its current off to various branches in towns and cities far away. The problem is that any damage to the spinal cord can affect all the other parts of the body too; in the same way that cutting through a tree-trunk results in the entire tree falling. Because the signals travel to and from the brain and descend the spinal cord, any damage to it will reverberate through the entire body below the injured part of the spine. 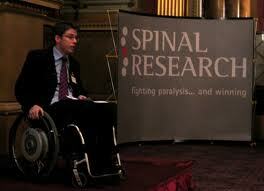 The practical results for humans who suffer spinal cord injury can be devastating. The severed nerves cause paralysis of multiple areas of the body; the patients will have their sensation and movement impaired, that means they’ll need to walk with crutches or might even not be able to walk at all and be forced to use a wheelchair. As with all neurological damage, spinal cord injury generates terrible pain and spasms that debilitate the patient even further. On the social side, the patient may well experience sexual dysfunction and the indignity of incontinence and loss of bowel control. The most extreme case is quadriplegia, in which the patient has broken their neck and damaged the region of the spinal cord that runs inside the cervical vertebrae, like the young boy in the film. This results in total body disability, maybe even breathing could be impossible without the ventilator system he uses. Quadriplegics often do not live for more than a few years and face those few years as complete dependents. A famous person struck down by this condition was the actor Christopher Reeve. (Incidentally, as a brief aside, I’m a big fan of the film The Bone Collector because of the way they portray the main character, played by Denzel Washington. He’s a quadriplegic, a policeman injured in the line of duty, but he breaks through a lot of stereotypes because he’s a very powerful character with intelligence, sexual energy and good spirits. See: http://www.thebonecollector.com/ .) Like all the body’s cells the damaged neurons eventually regenerate and new ones will grow, but with nerve cells this process takes hundreds of times longer than it does with other cells like bone or skin. In fact if the damage is very severe then this process can take longer than the human lifespan and so the injury is effectively permanent. It’s something I’m not alone in dreading. As a Hospital Porter I’m acutely aware of the ease with which these injuries can occur and we go to great lengths to protect people who’ve had even suspected spinal injury by immobilizing them on stretcherboards and heavy support collars, so preventing the injury from getting worse. However, there is good news in that the scientific researchers, the people whom the Skeppies insist that I hate so much and want lynched during the “Woo-Woo Revolution”, are very close to finding a cure for this condition. In fact I’m surprised that their work is underfunded to the extent that they say in the film, and they have to ask us for charitable donations. You’d think that the science industry would be pouring billions of pounds on top of them! There may be a reason why not, which I’ll address in a moment, but let me once again stress that I regard these researchers as heroes. The work that they are doing involves the use of stem cells which have been criticized by religious fundamentalists because they’re often obtained from human embryoes. I personally agree that there are ethical questions over abortion, but this is a completely different matter. 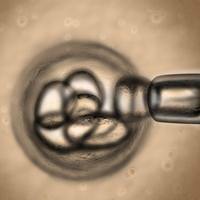 These are single fertilized cells that are often generated anyway by a woman’s ovaries when she gets pregnant; in fact they can also be found in the afterbirth or umbilical cord of the baby. Also I wonder if an avenue of this research hasn’t been deliberately sealed off. This question arose in my mind when I read a book by a proper doctor and scientist, but one that has been relegated to the genre of the Alternative, The Body Electric by Robert O Becker, written way back in 1985 (See: http://www.amazon.co.uk/Body-Electric-Robert-Becker/dp/0688069711). Becker was a doctor who treated soldiers injured in World War II and suffering burns. He asked himself and his colleagues if there was a way to make their skin regenerate into new skin instead of forming useless scar tissue. This led him onto exploring the nature of DNA, only recently discovered at the time, and the process of growth and healing. As I said above, there is nothing artificial or esoteric about stem cells; your own body is generating them constantly, especially when you were an embryo or if you break a bone. The stem cells are simply the proto-cells that emerge during development and renewal that “differentiate” into normal cells like skin, bone, nerve, hair etc. In some occasions, as with the repair of broken bones, the normal cells “de-differentiate”; this means that they turn back into the stem cells whence they came. This remarkable property is what allows bone trauma to heal. Becker asked: what if he could find a way to make other cells do the same thing that bone cells do? This would mean that all body tissues would regenerate like bone does. The implications of this are almost unimaginable: Missing limbs and organs could be regrown like the shoots of a plant, people with brain damage from strokes and Alzheimer’s Disease could have their mental functions restored and spinal injury sufferers could walk again. If this sounds impossible remember that every cell in our bodies contains a DNA blueprint for the whole body, not just the part that it is in, which indicates that it has developed potentially to do more than just its own job! All our cells are latent multi-taskers! Also there are some species of animal, and many of plants, that naturally do this very thing. Becker sites salamanders, newts and other amphibians. If you cut off the leg of a salamander it forms a scab over the stump which resembles that of a human's blood scab, but it is in fact a “blastoma”, an area in which the remaining cells de-differentiate back into stem cells and regrow the leg. By some unknown process the de-differentiated cells know exactly what form to take and when to grow and stop growing so that they rebuild the entire limb cell-by-cell, tissue-by-tissue, organ-by-organ, leaving a new leg that is as fully functional as the lost one it replaced. The same DNA layout in salamanders’ cells exists in those of other species like humans. If salamanders can do it, why not humans too? Becker embarked on a 40-year quest to find the answer and he discovered that it was all to do with electricity. He used electrodes to induce carefully controlled currents in human subjects and found that not only did the body’s known healing processes vastly improved, but that there was some de-differentiation too! Why is this book not on the shelves of every medical library in the world? I tried to find a copy in the one at my hospital and couldn’t. Instead it’s been blacklisted to the realms of Fringe and underground literature. One thing that sticks out in my mind is where Becker spoke of a doctor that would not dress the wounds of children under the age of seven who had cut fingers. Apparently young children can regrow the top half of the end finger joint naturally. This is very relevant to my own life because my own brother had just such an injury at the age of four. To this day the top half of the last joint of his left middle finger is missing; if only my parents had known what I’ve learnt! If children under seven can do it why can’t older people? Why just the top half of the top of the finger and not everything else? I’m faced with the awful prospect that we could be looking at another example of suppressed science. If this is the case then the Illuminati are once again condemning thousands of people to unnecessary suffering, diability and death. Would they do it? Of course they would! Why? Well, as with other occasions in which science and technology have been suppressed there could be more than one reason, depending on who you are within the initiated network. As with Exopolitics and Free Energy (See: http://hpanwo-tv.blogspot.com/2009/09/freikraft.html and: http://hpanwo-tv.blogspot.com/2010/01/year-ago-dr-stephen-greer-of-disclosure.html) some people in the medical and pharmaceutical establishment fear the impact that this new medicine will have on the existing industry. At a higher level it may be connected to the morale and spirit of the population. The joy and freedom this new discovery generates would be very uplifting and liberating, not just for the spinal injury-sufferers who are the direct beneficiaries, but for their loved ones, and the rest of us who have not had this injury but fear that we might one day. It would be an enormous burden off our shoulders; a huge sense of security and reassurance. And as Andy Thomas said in one of his lectures (See: http://hpanwo.blogspot.com/2009/06/alternative-view-ii-part-1.html) “Everything is designed to break our spirit!” If this is the case, then presumably the converse is true: everything that might heal and restore our spirit is strictly prohibited and off-limits to us! Well, I’ve put a comment in the box of that video mentioning Becker and his work, so hopefully the YouTube users who see the film will find out about these things which are so forbidden by the Illuminati. At Complete Health Care Medical Center in Duluth, They have developed a unique, customized approach to treating men’s health and testosterone imbalances. In addition to customized fitness and nutritional programs, their medical team supervises the use of natural bioidentical hormones in addition to traditional forms of hormone therapy. I'm really enjoying the theme/design of your site. Do you ever run into any internet browser compatibility problems? A couple of my blog visitors have complained about my site not working correctly in Explorer but looks great in Chrome. Do you have any solutions to help fix this problem? visit the site, that's what this web page is providing. write. The world hopes for more passionate writers like you who are not afraid to mention how they believe. It's actually a great and helpful piece of info. I am glad that you simply shared this helpful information with us. Please keep us up to date like this. Thanks for sharing. Teeth Night Guard is offering personalized fitting and highest quality custom made teeth protectors.